Two products I have been absolutely loving whilst on this mammoth holiday are the Palmers Cocoa Butter shampoo and conditioner, and so I have decided that they totally deserve their own post. I was on the lookout for a new shampoo and conditioner to take away with me. You know how some people like to buy a new perfume to wear on vacation, so that the smell will forever take them back to that time and place? Well, I'm like that. Only with shampoo. Weird. 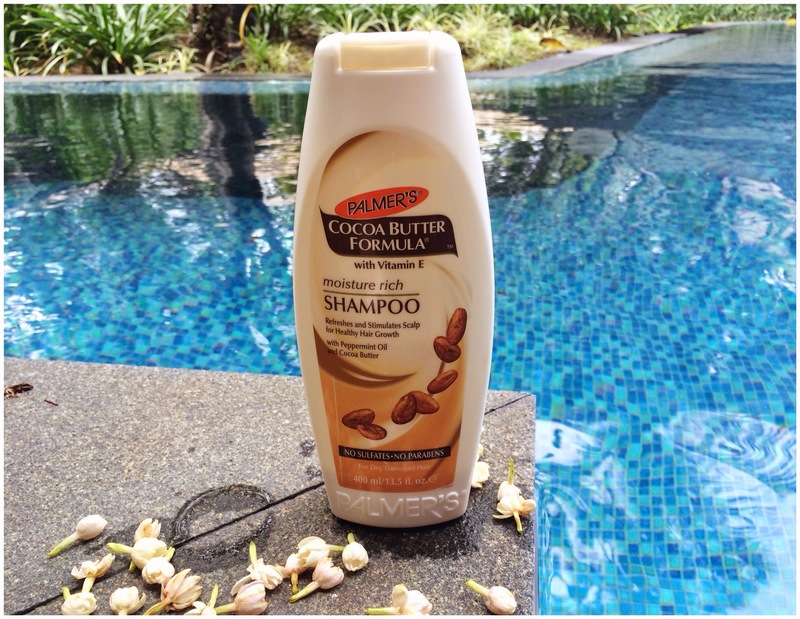 Firstly, the formula is so very rich. It contains vitamin E, Keratin and Cocoa butter, so the shampoo feels rather thick on application. The added peppermint oil works to stimulate the scalp (and thus improve blood supply, which can promote hair growth) but it does so in a very subtle way, rather than feeling like its burning your scalp off in the way that some intense menthol shampoos seem to...*cough, Nioxin*. This can also help those with a dry or itchy scalp. I like knowing that the shampoo is not only moisturising and repairing dry hair, but also stimulating hair growth - meaning healthy scalp, hydrated hair, happy Mimi. Yay. Secondly, the scent. OMFG. This stuff smells a-m-a-z-i-n-g. Cocoa-buttery, minty, chocolaty. It's like rubbing an after eight dinner mint all over your hair. Seriously - my mouth just watered thinking about a shampoo. It's that good. The scent also lingers, and this never happens with my hair. No matter how good it smells in the shower, the scent has always dissipated by the time it has dried - but this really holds. You then get to swish around all day smelling like a minty chocolate bar, and who doesn't want that? The restoring conditioner is equally lovely. 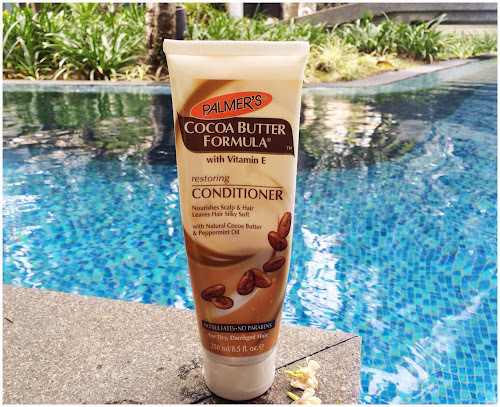 Same properties as the shampoo and leaves my hair feeling incredibly well moisturised and beautifully soft and shiny. 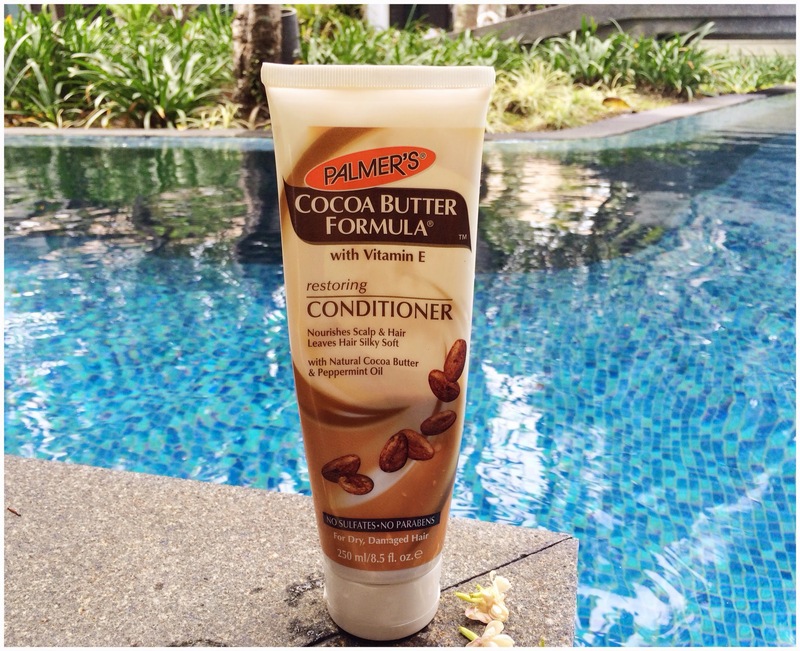 The conditioner is light brown in colour, and you can really feel the cocoa butter. However, this in no way weighed my hair down, and I happen to have (unfortunately) very fine, baby like hair. So another thumbs up from me. The price - I paid £3.99 for each. I think that's incredibly well priced for such high quality hair products, and the amount of product that you get ( 400ml shampoo and 250ml conditioner). At home I had been using Tigi's Colour Goddess, and there are certainly similarities in formula and scent - but in my opinion Palmers is by far the better of the two, and at a fraction of the price. It's a great dupe. The only teeny tiny negative is perhaps it's packaging, I find palmers products rather clinical to look at. But for the price, you can't really complain. Also, it's not widely available, unless you happen to be close to a Sally's. You can however buy it online from Feel Unique here for £3.99 - if your in the market for a new shampoo, i recommend adding to your basket. I hope you enjoyed this review, and let me know if you try it out! 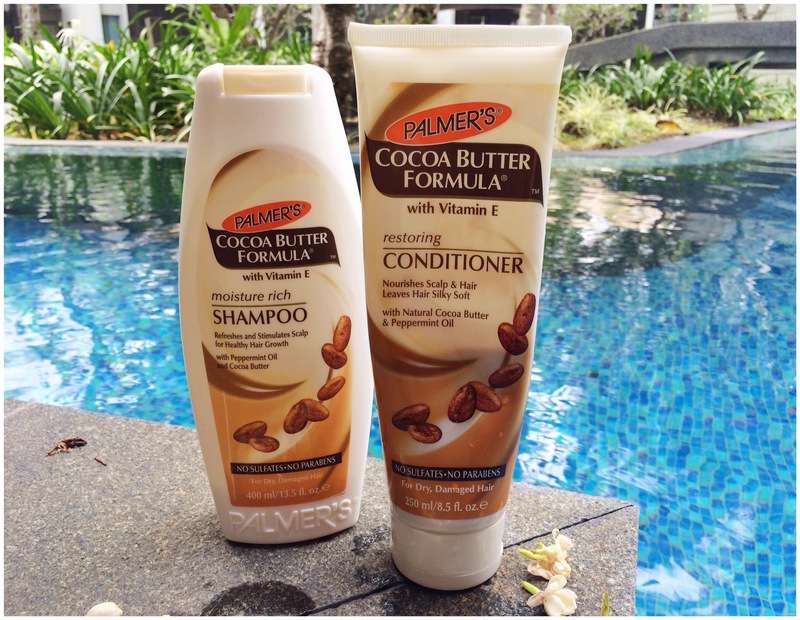 What shampoo and conditioner combo have you been loving lately?